Made from a durable high quality 304 solid stainless steel that are corrosive resistant, hygienic and easy to maintain. The Beefeater Signature range of BBQ has a well-deserved reputation for quality and long lasting durability and to top it off it's one of the hottest cooking BBQ's on the market. We all adore the scrumptious smells that billow from your favourite dishes from the BBQ, but not when those smells hang around long after you are finished cooking. 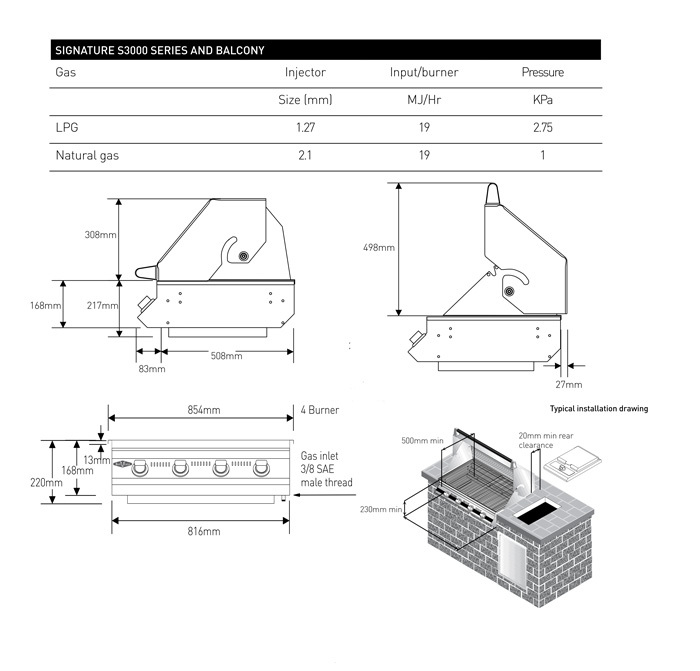 ILVE’s BBQ rangehood is designed to keep your outdoor living and entertaining area fresher and cleaner. ILVE’s BBQ rangehood craftily stand above the rest. It’s powerful high speed fan removes cooking odours, smoke and vapour, while the stainless steel baffle filters trap all grime and are easy to clean. In-built LED Lights produce a natural brightness, illuminating your cooking area while the streamlined electronic control panel ensures quiet air extraction is at your fingertips. It is easy to see that ILVE Rangehood’s are built to extract!